Ditch your factory chrome grilles and get an updated appearance with great fitment with these BMW E82 E88 Matte Black Grilles. These grilles for your 1 Series feature easy plug and play installation that can easily be done by any enthusiast. 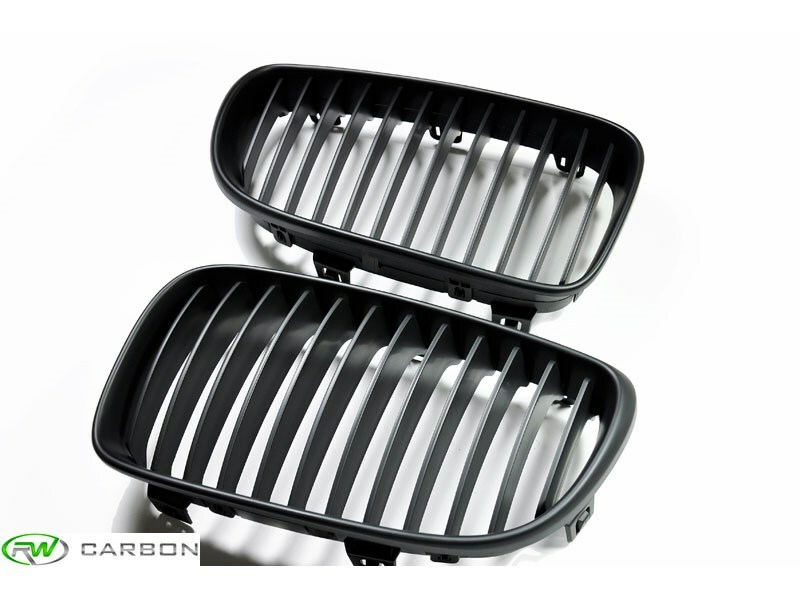 No matter the appearance you're going for with your 1er these BMW 1 Series Matte Black Grilles will mesh well. No special tools are required for installation, simply pop out your existing grilles and pop these new matte black grilles in. When you choose RW Carbon for your E82 and E88 exterior items you will receive prompt shipment and an item that looks great the first time. 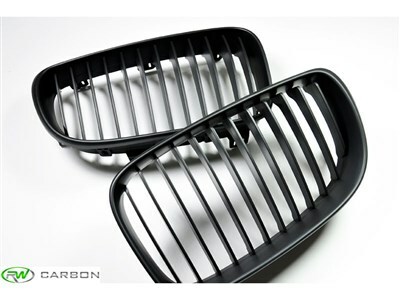 These BMW E82 matte black grilles install using the same mounting locations as the OEM grilles. Access to the rear of the grilles is require for removal. One Goal, One Focus, Carbon Fiber. We take our mission very seriously and strive to provide you quality carbon fiber and matte black exterior pieces at great price-points. Unique to RW Carbon we actually take the time to quality control every product before we ship it out to you. This ensures that you receive a carbon fiber item that you can be proud to put on your vehicle. Many competitors are shipping a product that comes directly from overseas, and has not been quality controlled. If you order one of these parts you could get a product that has scratches, or cracks in it or just does not fit correctly. By choosing RW Carbon we make the promise to deliver you a consistent, quality product on time.